The PowaKaddy Universal GPS holder is designed to hold your handheld golf GPS or smartphone when out on the golf course. 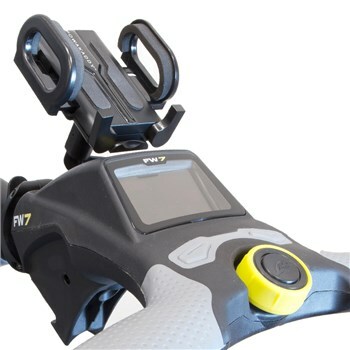 It is easy to fit and fully adjustable to allow portrait or landscape orientation whilst the foam padded wings prevent damage to your device. The universal product range is only compatible with other universal products from the range. All 3 of the Universal Products can be fitted on your trolley at the same time.